Kmet is on the musical composition track, which offers experiential learning in film scoring and interactive media. Currently, most of his compositions have been for student films. 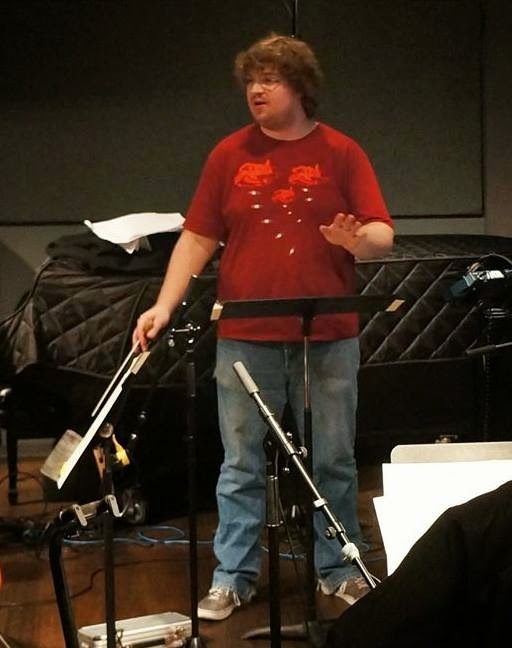 Academic research is also a large part of his time at NYU; Kmet will present his research paper, “Examining the Evolution of John Williams’ Orchestrations through the Lens of Star Wars” at NYU’s Music and the Moving Image Conference, May 30-June 1. Kmet explains how Whitworth professors of music Brent Edstrom and Richard Strauch heavily influenced his path to the NYU program. In Strauch’s classes, Kmet discovered his interest in researching music, while Edstrom helped him develop problem-solving skills and learn to find his voice as a composer. Kmet is considering pursuing a Ph.D. in music composition after completing the two-year program next spring. Eventually, he would like to teach and continue his research at a university, and work as a composer or orchestrator in the film industry.